SET-FREE Front Flow Series is the first front-flow multi-split air-conditioning with large capacity in the industry. 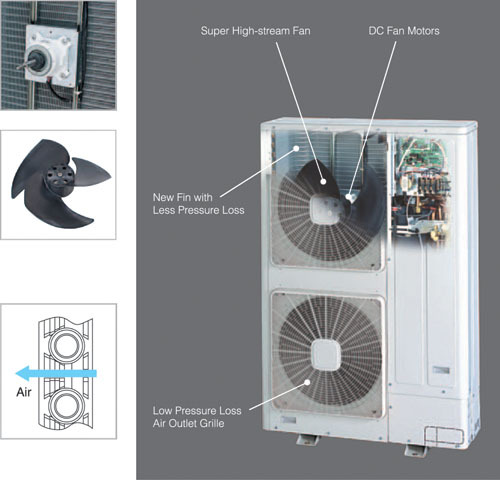 In adhering to the Hitach 20 years’ leading technology in commercial air-conditioning ,taking into account more requirements of small building space, the compact and light bodies of SET-FREE Front Flow Series provide more convenient and good-looking air-conditioning solutions for customers, which saves more space. Firstly launch 8HP-12HP front flow inverter-driven outdoor units. Facilitation and flexibility at installation are further advanced by adopting outdoor units lightweight and compact design compared to the current top-flow model. 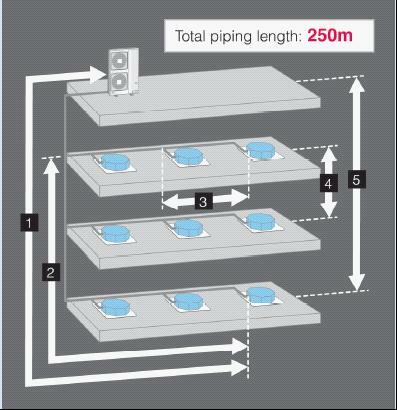 With a width of only 390mm,the SET-FREE FSNMQ can be installed on a staircase landing or balcony on each floor. The smooth rotating fan motor with low vibration reduces the noise generation. Super High-stream fan of 544 mm cuts down the noise. The draft resistance is reduced by 20%.Both high-efficiency and low noise operation are simultaneously satisfied. Wide capacity range of outdoor units enable free model combination relating to the actual condition of specified building. Hitachi promoted the first high-pressure chamber scroll compressor in the industry which has the function of interior oil separating .At the same time, considering the high pressure characteristics of R410A refrigerant ,asymmetric scroll disk was developed and bearing structure was strengthened which improved efficiency and reliability of the compressor. 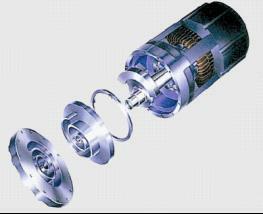 Also, the operating speed of DC motor in compressor and freely relating to the variability of system capacity and accurately with 1HZ increments. The piping can be designed and constructed up to a total piping length of 250m.